Is there anything better than cheese, olives and wine? This 5 ingredient Greek-inspired tomato, cucumber feta salad recipe pairs perfectly with a glass of vino any day of the week. Nothing could be more satisfying or easier to make than this! When the hubs is gone, there are always a couple things I take advantage of. 1) I cook and eat NO MEAT. Before Chris came along meat rarely touched these lips. Yes, I do miss those days… but what can you do, Chris is a meat lover – and I love Chris… c’est la vie. 2) Spa nights. Beautify baby! 3)Shop. Ok, I shop regardless if Chris is home or not! 4) Girl time. I always try to invite a girlfriend over to have a light meal and some wine. As much as I hate Chris to leave, it’s always nice to spend time with the gals! And this main meal cucumber feta salad recipe with olive tapenade dressing is the perfect gals night meal. Not too heavy, not too light and divine with wine. What do you want with a glass of wine? Salt – done. The feta cheese and olives are a perfect compliment to any wine. Carbs – done. The garbanzo beans add the perfect amount of carby goodness and fill you up without feeling stuffed. Crunch – done. The hefty dose of cucumbers paired with sweet tomato bursts brings everything together with perfect balance. This salad takes less than 10 minutes to put together. Chop some vegetables, open a can of beans, crumble some cheese and you’ve got an amazing dish that will wow your palate. Nothing brings more flavor than feta and olives. This is why the dressing is exactly that. Olive tapenade (the kind stored in olive oil as opposed to a brine) paired with crumbled feta is the ideal dressing. I get mine at Costco. 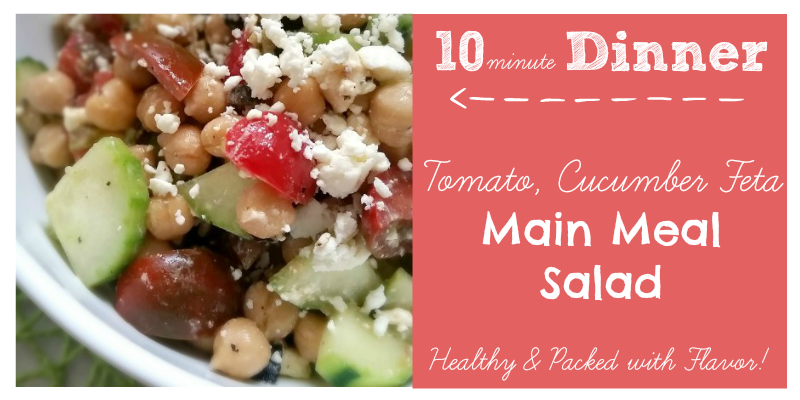 You’ll swear there are more ingredients than just cucumbers, tomatoes, beans, olives and feta. If you like, a bit of thinly sliced red onion would go perfectly. And if you want to top it with a chicken breast, make sure you cook it perfectly. How? Follow this easy image guide to cooking chicken perfectly. If you’re looking for a light dinner or perfect lunch, this is it. 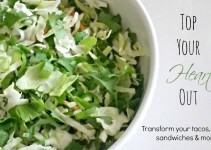 Make it for the week to pack for a satisfying energy-sustaining lunch or prepare it for a bikini-friendly meal. Hope you love it as much as I do! Fresh, balanced and satisfying. Just add wine for the perfect gals night meal! Cut tomatoes and cucumbers to be about the same size. I like to quarter the tomatoes and cube the cucumbers. Add ¾ cup feta cheese, reserving ¼ cup to sprinkle on top of the salad. Add olive tapenade with it’s olive oil (don’t drain). Mix all together and top with remaining ¼ cup cheese. Give a quick spritz with lemon if you've got it for an extra kick! 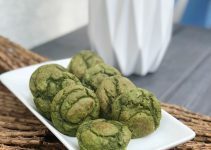 Everything about this recipe looks perfect! I sadly can’t eat feta right now (darn pregnancy) but I’m pinning this for later!!! Yummy. I’m looking for light recipes to compliment the calorie assessment I ordered from you. This fits the bill for either lunch with some water or dinner with wine (I allow myself more calories for dinner). Do you know another source for the tampanade? Does Sprouts carry one? That looks really nice! 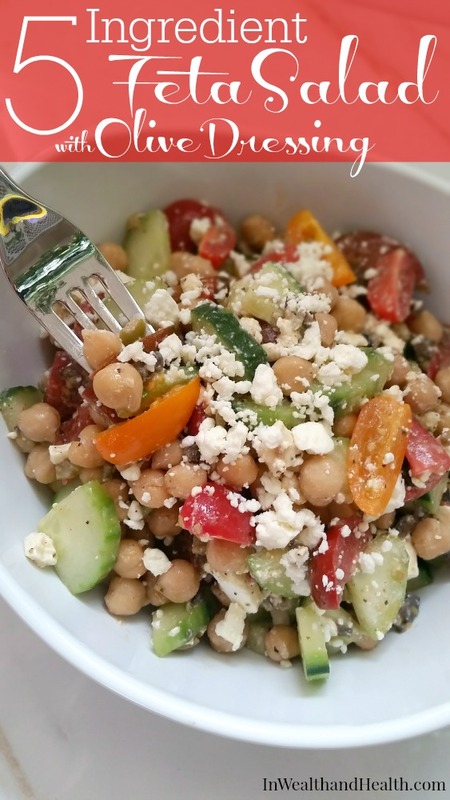 I haven’t usually seen Greek salad with chick peas in before but I don’t know why not – it looks like a good idea! I loved this article and thought you would too. 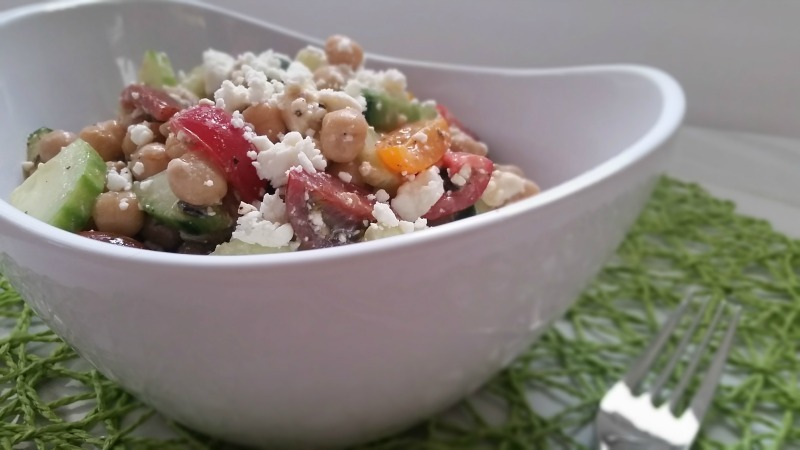 Here it is Tomato, Cucumber Feta Salad Recipe located at http://www.inwealthandhealth.com/tomato-cucumber-feta-salad-recipe/.